Pay close attention to the words around you. Start listening to what people are saying at the tables next to yours in the restaurants, in the line at department stores, to casual conversations at lunch, and to the words of co-workers, family members, and friends. What are they saying? Are their words clean or has the conversation of America deteriorated toward becoming crass and barbaric? All of the details of the past election having been coming to light in the last two or three months through multiple books that are being written. The John Edwards story has been detailed by Andrew Young. John Heilemann and Mark Halperin teamed up in Game Change. Karl Rove has written about his tenure with George Bush in the White House and other thoughts on the political landscape of the nation. One of the common themes and terribly disappointing factors of all of these books has been the extreme proclivity toward profanity. 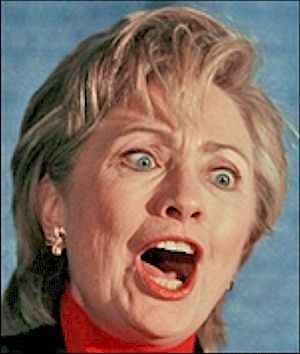 The Clintons, the Obama’s, the McCain’s, the Edward’s words have all been quite shocking. Add to that VP Joe Biden's mic gaffe when he dropped a choice word a few months ago and it was broadcast on national networks. There has always, whether warranted or not, been in my mind the idea that those who served our country at the highest level should have some level of character and nobility about them. But it appears that civility and being a gentlemen has become a lost art. From Bill and Hillary Clinton’s raging about some of Obama’s techniques in the primaries to Obama’s criticism of Hillary and her team about snubbing him, to Ted Kennedy’s antics in the hallways of government, to John McCain’s totally unacceptable language used to staff and subordinates, and John and Elizabeth’s shouting matches filled with some of the rawest language ever heard, it appears from the top end to the bottom end, America’s language is sinful. Shortly after reading some of these books, Teresa and I took a vacation with our kids to Disney World. I was again shocked at the language that I heard when I was standing in line. It seemed as if both young and old have digressed to a point that the air was fouled about them because of the language. The speech of our society has gone south very quickly. Some might tell me that my ears have been protected for a lot of years from this kind of thing but I can well remember some of the juvenile language of my fellow 7th graders at school. The speech in this day has well exceeded that. I dare say that if I were to ask any of these people if they were Christians, the majority of them would profess some vague sense of religion but it is obvious that true conversion has not taken place because their speech betrays them. Jesus was clear that when he said that out of the abundance of the heart the mouth would speak (Matthew 12:34; Mark 6:45). Whatever is in the heart (mind) will come out in the form of words. That is why that you only need to listen to people talk for about 5 minutes to know where their heart is. Up until a few months ago, I had no idea who a prominent “comedian” was until he died. When they were eulogizing him, he was cast as a great America who caused us to think. So because of my unfamiliarity with him, I went to Youtube, watched a few clips, and was very sorry that I did. I was shocked that people would pay $35-50 to see this uncouth, angry, and blasphemous fellow go through his routine in the name of comedy and then laugh at his antics. Some of his rants were directed toward God, although the comedian did not seem to believe in God. I have a feeling that 30 seconds after his departure from this life, he was confronted by the very God he did not believe existed. I wonder how that went. It seems like all forms of “entertainment” has to be filled with inane, smutty, gutter talk that has quite a low-brow appeal. If a person continually exposes himself to this kind thing, it won’t be long before those words are pouring out of him. He will hurt his friends, his co-workers, his family, and most crucially his children because it won’t be long before the little sinners are following the exact same path as he is. 1. We all have a pretty good idea about what is acceptable and unacceptable. If we are to be pleasing to the Lord, our words ought to always be seasoned with grace. 2. We should constantly strive to uphold the concepts of Ephesians 5:4 which as the ESV states: Let there be no filthiness nor foolish talk nor crude joking, which are out of place, but instead let there be thanksgiving. 3. We should also find Ephesians 4:29 (ESV) to be a good rule of thumb also: Let no corrupting talk come out of your mouths, but only such as is good for building up, as fits the occasion, that it may give grace to those who hear. 4. We need to remember that Colossians 3:8 (ESV) is specifically related to what we say: But now you must put them all away: anger, wrath, malice, slander, and obscene talk from your mouth. 5. A minister in a pulpit ought to be the last person, in or out of the pulpit, to allow his words to go to the gutter. You think we can get out of the gutter? School is officially out and summer has begun. One of the highlights for the summer for my younger brother and I was the trips to the library where we got involved in the summer reading programs. This was back in the early to late seventies and most libraries had very structured reading programs. Additionally they would give away awards for those who read the most. They also encouraged readers to move out of their age groups and go above to higher reading categories. I can well remember while I was still riding the bus having a book to read both on the way to school and on the way home. Before you throw me under the bus and put me in the geek (or nerd) category, it was fairly common for boys to read. The sorry substitutes today are video games and other things that will cause your brains to turn into mush. I can remember reading massive amounts of good clean western fiction by Louis L’Amour, Zane Grey, and Elmer Kelton. I read through William Manchester’s book about Douglas MacArthur when I was in high school. 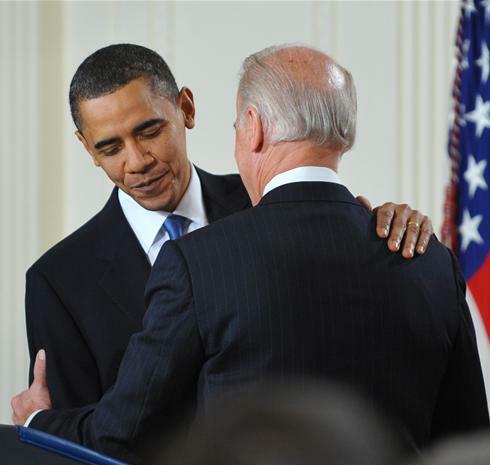 That was where I came into contact with his speech about honor, duty, and country. It was incredibly inspiring. Another book that I read in high school was a book about physicians. It was called White Coat, Clenched Fist and even though some of it was over my head, I was still inspired by it (it has since been republished). 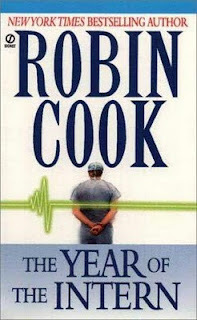 That book led me to Robin Cook’s The Year of the Intern which led me to the old books written by Franklin Slaughter who was also a physician. Slaughter’s books are filled with nobility and honor of the medical profession. One book seemed as if it was always spurring me on to read something else. So don’t waste your summer. . . READ!!!! I have an older summer reading list that might interest you that can serve as a jumping off point for this summer. 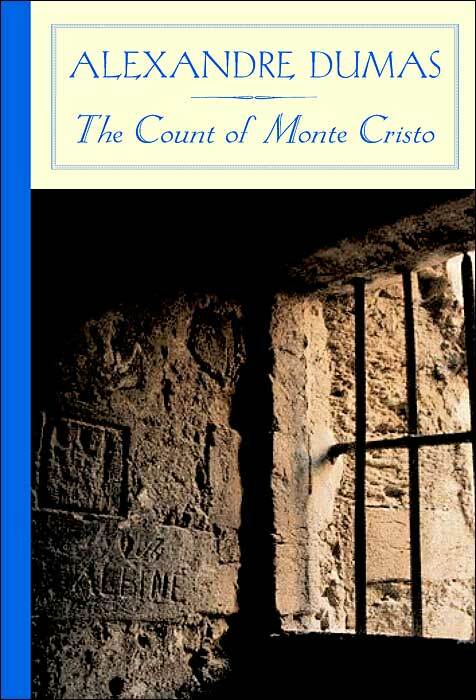 If you have never read Alexander Dumas’ book The Count of Monte Cristo you are in for a real treat. It is a big book but don’t let that discourage you. It is one of the most incredible tales about a young sailor who is betrayed and the girl he intended to marry goes to a rival. He is then thrown into a real prison with rats, disease, horrible food, and so forth. He battles with depression, fear, and rage. During his tenure in the prison, he meets a fellow prisoner who is a priest and the kindly priest helps him. The priest ends up dying and Edmond escapes the prison. I don’t want to spoil it for you but there is an incredible surprise waiting on him when he gets out. He then turns about doing his best to destroy the man who robbed 14 years of his life. Because of the exposure to this book years ago, there were themes in this book that I did not pick up on because I had not lived long enough. Suffice it to say that I have accumulated some miles along the way and I can now see the themes of hope, justice, vengeance, retribution, love, mercy, forgiveness, and brotherhood. These weren’t evident to me until a few dings of life had struck me. You can purchase the Barnes and Noble classics (paperback) edition for less than $10 or if you have an e-reader (Nook, Kindle, Sony E-reader) you can download it for free from Feedbooks. As always, I am constantly in the hunt for good books that will inspire me toward more spiritual growth. One such book that I have benefited from over the years has been one written by John MacArthur in 1993. He wrote Ashamed of the Gospel as a call to action for biblical preaching, a lifestyle of holiness, and the great need for discernment in our times. More often than not the trends that MacArthur pointed out in our times mirrored what happened during the “Down Grade Controversy” in Charles Spurgeon’s times over 100 years ago. If you are interested in a challenging, thought-provoking book then you need to read it. If you are uncomfortable with a straight-forward and direct approach to the supposed new trends of the modern church era, save your money. The book has been reprinted and there are several new chapters that have been added and some revisions have also taken place in the new edition. Suffice it to say that what was written nearly 20 years ago has almost come to pass. The subtitle of the book reflects that “when the church becomes like the world.” Theology and doctrine has taken a back seat to life “app” preaching. Life “app” preaching is that preaching which helps manage stress, work situations, raising kids, and a host of other ways to help make life very man-centered and not too God-focused. 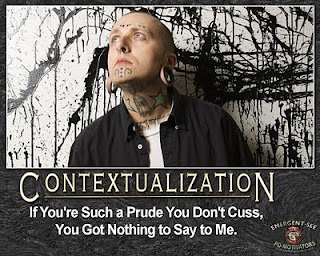 The power of Scripture has almost been totally discarded and when someone does point out that Scripture clearly addresses moral and social issues of the day, that person finds himself cast into the uncomfortable role of being judgmental. Worship has progressively become more focused on feeling than it has meaning which is backwards. If a man has meaning in his worship, you better believe that there will be feeling in his worship. In Chapter 5, The Foolishness of God, MacArthur spends an important amount of time writing about the need for solid biblical preaching that radically opposes the wisdom of this world. The wisdom of this world is foolishness to God but a number of detractors in our times, particularly of doctrinal preaching, seem to think that worldly wisdom is so much better than God’s wisdom. 1. Human wisdom is temporary while divine wisdom is eternal. 2. Human wisdom is impotent and divine wisdom is powerful. 3. Human wisdom is for the elite and divine wisdom is for all. 4. Human wisdom exalts man but divine wisdom glorifies God. 1. Visit those how-to sections in your local bookstores. 2. Regularly have a small group submit a list of their greatest challenges at home and on the job. 3. Similarly, acquire inventories of needs from several secular people in your community. 4. Periodically, examine issues of Time, Newsweek, and USA Today, as these publications tend to be on the cutting edge of the felt needs and fears that people are facing. 5. Apply practical aims to every study, message or program in your church. 6. Practice composing practical, catchy titles for your messages (sermons) from various biblical texts. 7. Limit your preaching to roughly 20 minutes, because boomers don’t have too much time to spare. And don’t forget to keep your messages light and informal, liberally sprinkling them with humor and personal anecdotes. This is a list for weak and insipid preaching and it is also diametrically opposed to biblical ministry writes MacArthur. 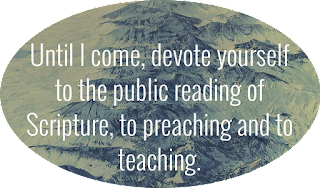 Biblical preaching was God-centered, sin-exposing, self-convicting and life-challenging—the direct opposite of today’s light, informal sermons that Christianize self-help and entertain better than they convict. There are so many illustrations in today’s market-sensitive sermons that the hearer forgets the biblical truth that is being illustrated; so many personal anecdotes that the hearer knows the pastor better than she knows Christ; so many human-interest stories that listening to a sermon is easier than reading the Sunday paper; so practical that there is hardly anything to practice. No wonder nominal Christians leave church feeling upbeat. Their self-esteem is safely intact. Their minds and hearts have been sparked and soothed with sound-bite theology, Christian maxims and a few practical pointers dealing with self-esteem, kids or work. But the question remains: has the Word of God been effectively and faithfully proclaimed, penetrating comfort zones and the veneer of self-satisfaction with the truth of Jesus Christ? This is a just a taste of a very good book. My old copy has been read and re-read numerous times in the last several years and this one will fall into that same category.